Along this winding road I'll walk, with you for an eternity. Plus, it will be beautifully engraved with any two names. 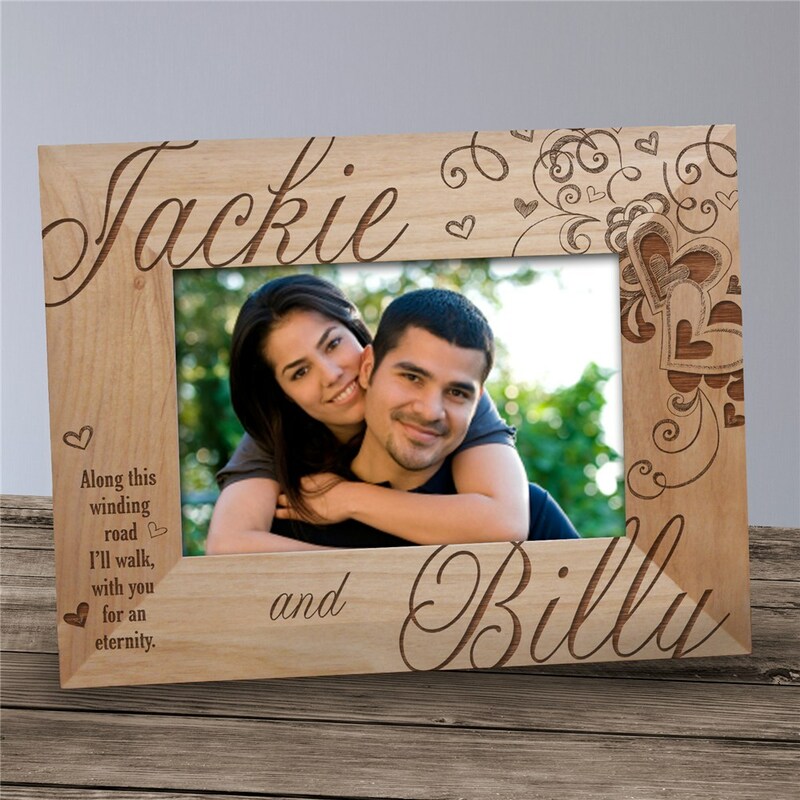 This personalized love frame features an easel back for desk display but also can be wall hung. It's available in three sizes and makes a great gift for weddings, anniversaries, Valentine's Day or any day you want to express your love. I think this is really lovely.